Say hello to Truffle Lodge, Tasmania’s newest glamping site. Located on the banks of the Derwent River in one of Australia’s first truffle orchards, Truffle Lodge owners Laurelle and John Grimley describe it as, ‘Australian bush camp meets Arabian nights’. “We want people to really experience Tasmania – Truffle Lodge shows off Tasmania’s stunning wilderness, wildlife and quiet in comfort without the built up hotel like environment,” they say. 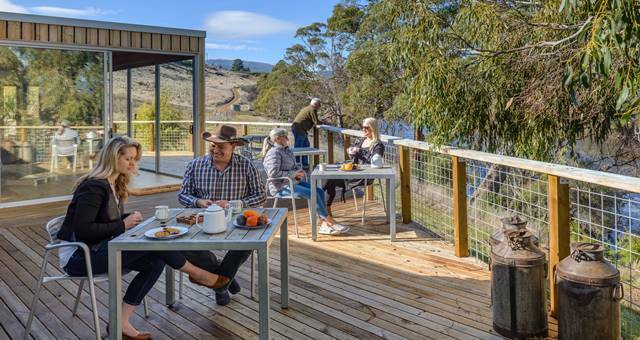 “With Platypus swimming wild at your feet and many activities to choose from such as kayaking, biking, some of the best fly fishing the Derwent has to offer, walks through the truffle orchard and wildlife spotting. This is the ultimate way to truly experience Tasmania in comfort,” say The Grimleys. 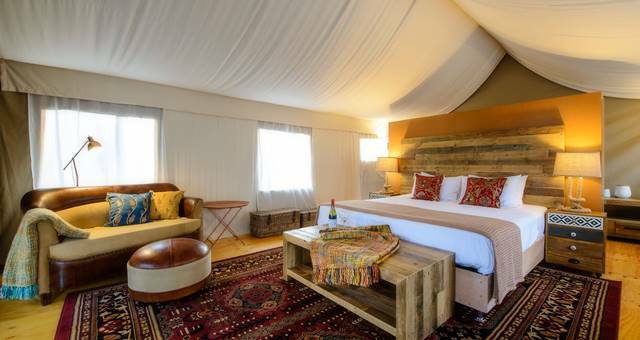 Each safari tent is fully equipped with king beds, lounges, heating and cooling, minibar, refrigerators, coffee machines, as well as its own luxury ‘glamping’ bathroom inside a converted water tank. Each bathroom includes a hand carved wooden bath and a separate rain shower. In addition, each tent has complete river frontage and a spacious private deck with rockers and a lounge allowing guests to be fully immersed in the tranquility of the Tasmania. The property is designed and built to incorporate eco-friendly principles. In addition to this, Truffle Lodge is being developed as a habitat for the endangered Swift Parrot with the planting of hundreds of Eucalyptus globulus and Eucalyptus ovata needed for their survival. Truffle Lodge is located a 45 minute drive from Hobart at 3411 Lyell Hwy, Gretna Tas.